Last week, I had the opportunity to attend the annual Kentucky Geological Survey (KGS) seminar. 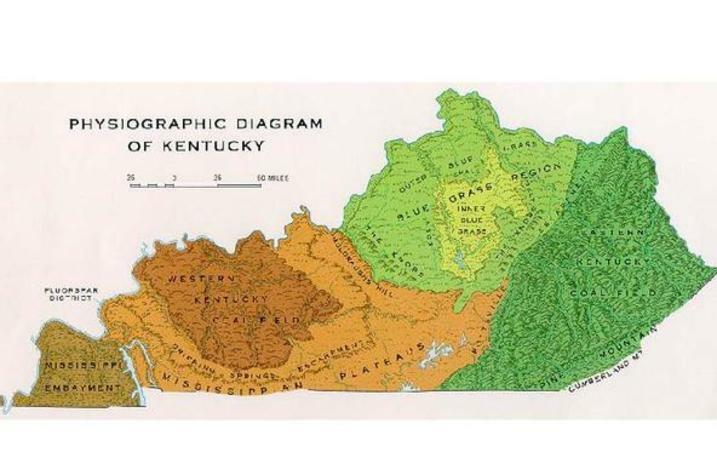 As a research institute of UK, KGS works to increase the understanding of the state’s geology and disseminate its research results to the citizens, communities, state agencies, businesses, and industries of Kentucky. The 178-year-old state survey employs 45 staff in sections focusing on energy and minerals, water resources, geologic hazards, mapping, and geoscience information. Last September, KGS welcomed a new director, Bill Haneberg, an engineering geologist with a wide range of research, academic, and applied experience, and the first KGS director to be appointed to a faculty position at the University of Kentucky. This appointment is emblematic of the importance of his role, the mission of KGS, and the increasingly important interdisciplinary role it plays with units across the University of Kentucky. KGS blends both research and service missions in its work; and that means the questions being asked by KGS in its strategic endeavors mirror those we are asking throughout the campus. As a land-grant, research institution, we must continually ask what is our strategy? What motivates us? Our first commitment is to the Commonwealth we serve. Our faculty, staff, students, and clinicians are motivated by our role as the University for Kentucky: the institution that addresses critical Kentucky questions in health, energy, agriculture, and the variety of fields in which our faculty work and serve. As a flagship public research university, we are motived by the desire to push new boundaries in knowledge development, our understanding of the world and those who inhabit it, and how we interpret the array of questions that challenge the broad society that we share. That’s the value of a university engaged in interdisciplinary inquiry confronting complex questions. Those motivations are brought to life in the work of the Kentucky Geological Survey. The KGS strategic plan, for example, includes a goal to integrate research activities—across disciplines—to focus on issues of “economic prosperity, environmental quality, and practical well-being” of our state. This is emblematic of how geology has changed over the decades. Indeed, the work of KGS geologists, its application, and the outcomes derived from their expertise has evolved. Geologists play a key role in the economy, resource utilization, and preservation, energy, water security, and planning, to name a few. The quality of their work and the impressive agenda of the conference keep these professionals at the leading edge of innovation. That’s critical because we live in a rapidly changing world: a world in which some industries, communities, and societies are struggling to adapt. In Thomas Friedman’s new book, “Thank You for Being Late,” he explains that not only is change occurring more often, but the rate of change is getting faster – what he calls the world of acceleration. Moore’s Law, which has held for more than half a century, basically predicts that processing power of computers will double every two years. However, we all know that the accelerated pace is not only dramatically shaping technology and computing power, but our state, nation, and world. Specifically, Friedman argues that we are in the midst of major accelerations wrought by continuing dramatic changes in technology, the global marketplace, and climate change – all converging at once; all changing, shaping, and reshaping the world in which we compete and which we must share with others. In that context, KGS’ work has never been more important or relevant. As pioneers of the first “big data” resource through mapping resources and information developed by KGS, they remain at the leading-edge. Because the data compiled through KGS is publicly available, scores of industries, governmental, community, and non-profit partners are able to benefit. This is the true value-add of a public/private partnership; it contributes to the economic development of our entire Commonwealth in a new economy where geoscience, geohealth, 3D mapping, and geohazard yield in-demand data for various stakeholders. In the age of acceleration, I believe this idea – of partnering across disciplines to grapple with tectonic shifts in technology, climate, and the marketplace – is the work of a 21st century land-grant university. So, too, is it the work of a modern geological survey. I’m confident in the leadership of the KGS, our faculty and staff, and the multiple partnerships made possible through this work.